Oscar-nominated actor Law livestreams Capital adventure behind the wheel of a Lexus RX SUV. Actor Jude law got behind the wheel of a Lexus RX SUV for an improvised performance set in London as part of a long-term collaboration with the luxury car maker. Law’s 45-minute performance behind the wheel was livestreamed and directed by viewers. The actor’s adventure started when Law drove the Lexus RX to The Box, a London cabaret club. His fate was then placed in the hands of viewers of the livestream performance, who got to dictate what happened next over a 45-minute period. Law’s task was to bring together people to form the cast of a stage-based performance. He was given scripts and stage directions by a director, but nothing else. The Oscar-nominated actor then hit London’s Theatreland in the driving seat of the white Lexus RX hybrid. His stops included Zima, a speakeasy-inspired restaurant and the famous Ronnie Scott’s jazz club, where his job was to find himself a composer. He was also on the hunt for Jorge Rodriquez-Garcia. The latter is a well-known Spanish street artist who Law needed to help out with the set design for the performance. Once fully-loaded, the Lexus headed back to The Box where the final scene was completed on the stage with Birmingham soul singer Laura Myula providing the music. Law was pleased with the results of his night’s work, saying that it offered him a rare opportunity to be involved with a project in which he was allowed to be completely spontaneous whilst creating a story from nothing. Law has a relatively long-running working relationship with Lexus, although this was the first initiative of its kind with which the Lewisham-born actor has been involved. Lexus announced last December that the company was entering ‘a creative collaboration’ involving the Hollywood producer and actor as part of a ‘The Life RX’ campaign. The project is focused on highlighting the 2016 Lexus RX’s qualities. According to Lexus, the emphasis of the campaign is on bringing to life the exciting and fast-paced lifestyle on offer to Lexus drivers who are able to decide for themselves ‘what is possible’. Law’s commitment involved various pieces of interactive theatre and videography, together with a TV commercial set in the stunning hills of the Fiuggi region of Italy and on the glittering French Riviera. The TV ad which aired from the end of last year across Europe showed a hotel valet taking the keys to a Lexus RX which was being driven by Law and then taking it on his own exciting journey. Law has admitted that he loves driving and particularly enjoys the escapism it offers. This is why, he claims, he finds the idea of The Life RX interesting. He said that he agreed that being given the keys to ‘the right car’ has the potential to unlock ‘an extraordinary experience’. Announcing the Law collaboration, Alain Uyttenhoven of Lexus Europe said that The Life RX campaign was designed to mirror the way in which the RX can offer a rewarding and different product experience. Uyttenhoven believes that offering a ‘progressive luxury experience’ is central to the Lexus brand. The 2016 Lexus RX was launched in Europe at last year’s Frankfurt motor show and the manufacturer has carried out a global market update in some countries for 2017. The fourth-generation Lexus RX made its official debut at the New York motor show in 2015 and arrived almost two decades after the first Lexus RX hit the roads. 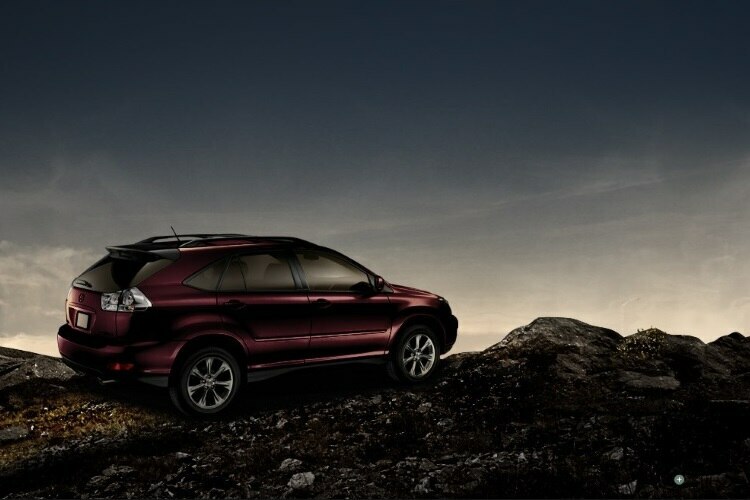 The RX model went on to really shake up the 4x4 sector by combing four-wheel drive and premium positioning, together with a hybrid power train which was first added in 2004.